I bet if we* started selling t-shirts printed with Simpsonized Scott Pilgrim characters, they would bring in more money than the Scott Pilgrim movie will make this weekend (which is only the second weekend of release). 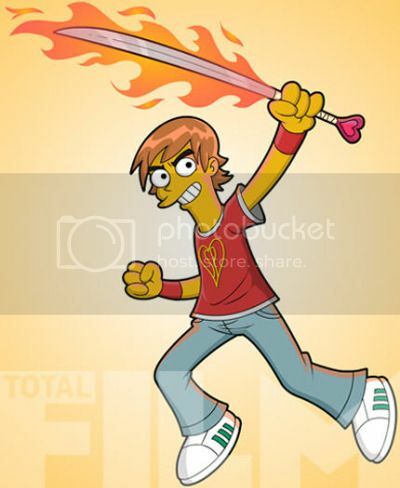 Via Total Film, who’s got a whole series of Simpsonized Scott Pilgrim characters from Dean of Springfield Punx. If you aren’t familiar with Dean’s work: he’s made a name for himself illustrating various popular geeky characters in the artistic style of The Simpsons. He’s like a one-trick-pony who’s figured out the one trick for which the internets will never grow weary. * And by “we,” I mean “me.” But I’d let you watch.